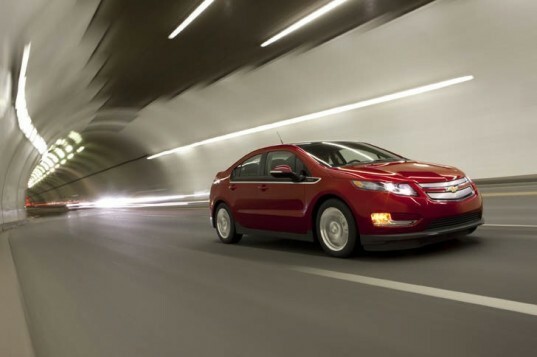 As more and more electric and hybrid cars are sold, there is a growing concern about what to do with the batteries that power these vehicles once they reach their expiration date. 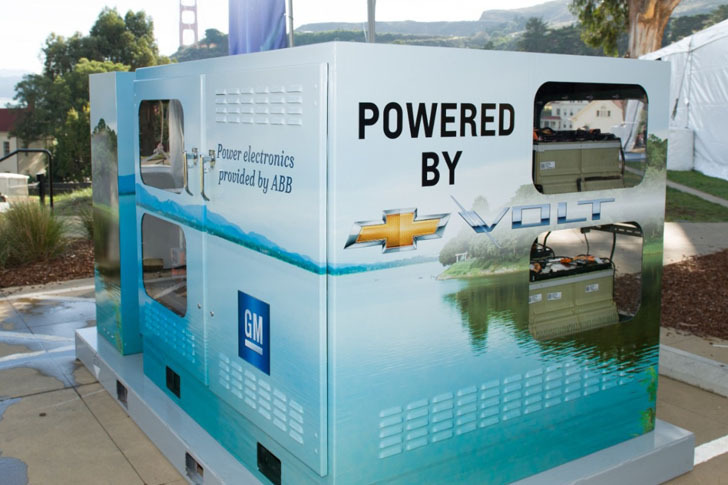 General Motors and ABB have unveiled a new modular unit that uses the power from five used Chevy Volt batteries to provide up to two hours of electricity for three to five average homes. General Motors unveiled the new modular unit at its Electrification Experience in San Francisco, California. The prototype unit provided 25 kW of power and 50 kWh of energy to power all the support lighting and audiovisual equipment in an “off-grid” structure used for the event. The energy storage system could could one day be used to power a group of homes or small commercial buildings during a power outage, allow for storage of power during inexpensive periods for use during expensive peak demand, or help make up for gaps in solar, wind or other renewable power generation. “The ABB-GM Volt battery system is the world’s first use of car batteries as possible back-up power for homes and other commercial uses. We will be installing it on the grid soon to complete the technical evaluation, and this will tell us all what smart grid applications are possible, like back-up power, reducing energy cost, strengthening utilities’ distribution systems and storing surplus renewable energy,” said Allen Burchett, ABB’s senior vice president for Business Development in North America.